Posted on Sun, Feb 19, 2012 : 5:55 a.m.
See Michigan’s most popular Beatles tribute band, Toppermost, at the Ypsilanti District Library Whittaker Road branch. 2 p.m. With costumes, accents, and banter with the audience, Toppermost performs a fun and authentic re-creation of a Beatles concert. Free. The YDL is at 5577 Whittaker Road, Ypsilanti. 734-482-4110. 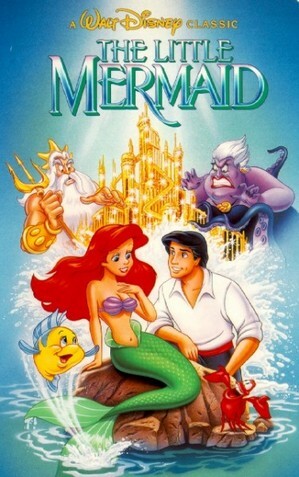 Sing along to the Walt Disney film "The Little Mermaid" today at the Michigan Theater in downtown Ann Arbor. Sing along with Ariel and "The Little Mermaid" at the Michigan Theater. 1:30 p.m. This fun film event will feature a costume parade, goodie bags and more. Singing along to "Under the Sea" will be worth admission alone. $16/ Adult; $11/Kids under 12; $14/ Student (w/ID), seniors and vets. The Michigan is at 603 E. Liberty St., Ann Arbor. 734-668-8397. Chef Brian Polcyn of Birmingham's Forest Grille and Milford's Cinco Lagos will be at the Ann Arbor District Library, from 3 to 5 p.m. He will prepare a delicious sample dish and discusses his life and his books. This event includes a book signing -- books will be available for purchase. Free. The AADL is at 343 S. Fifth Ave., Ann Arbor. 734-327-4200. There will be "Storytelling For Kids" at The Ark featuring some of the world's premiere talents, beginning at 1 p.m. This year's tellers are New Hampshire-born Willy Claflin, Hungary's Zalka Csenge VirÃ¡g, Kalamazoo's Alison Downey and Lyn Davidge. $10. The Ark is at 316 S. Main St., Ann Arbor. 734-761-1800. Enjoy "Concerts4aCause" at Northside Community Church and help the Alpha House. 7 p.m. Alpha House is a shelter for local children and families experiencing homelessness. Performers include violinists John Madison and Beth Kirton, soprano Caroline Helton, pianist Kathryn Goodson and the Northside Community Church Bell Choir. By donation. The church is at 929 Barton Dr., Ann Arbor. 734-662-6351. Comedian Kate Clinton will bring her quick-witted sense of humor to the Ark tonight. 7:30 p.m. Kate has worked through economic booms and busts, Disneyfication and Walmartization, gay movements and gay markets, lesbian chic and queer eyes and 11 presidential inaugurals. $30. The Ark is at 316 S. Main St., Ann Arbor. 734-761-1800. Sun, Feb 19, 2012 : 5:06 p.m. Trying to convince ours to go to the Beatles Tribute. No dice. Guess it is a kid thing and teens don't want to be embarrassed by their parents. Sigh.